How is Harriet's life after Ben's birth ? As far as Harriet is concerned she has different feelings towards Ben: there is at the same time anger, resentment and fear (he is so different, brutal, cold and distant, she locks him in his room) and a kind of kindness and pity (she tries to understand him, she tries to spend time with him, to help him and she has to play her role of mother even if it's difficult). Her mother instinct seems to be stronger, and more present because she finally doesn't give him up in the institution, she brings him back to life and to home). 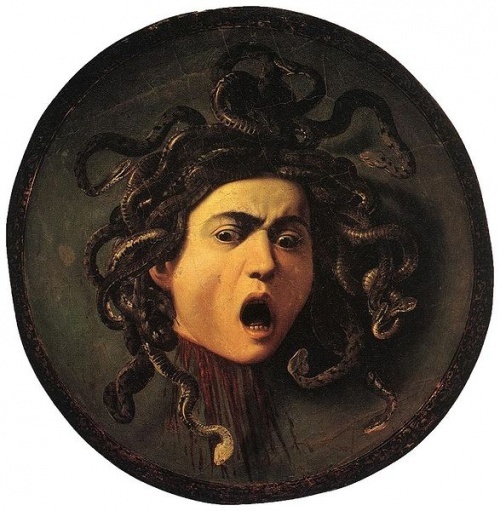 she was innocent and light hearted like Medusa until she met David (Poseidon) : she transformed into a creature, a monster (Medusa is a gorgon), she was hubristic (symbol of the snake and the poison).